1. 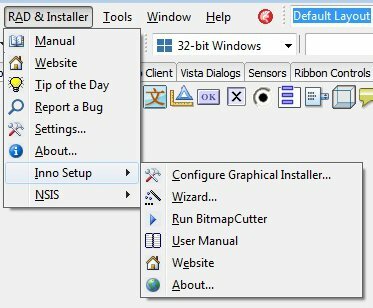 Start RAD Studio (2009, 2010, XE - XE8, 10 Seattle - 10.2 Tokyo, any edition: Delphi or C++ Builder). 4. 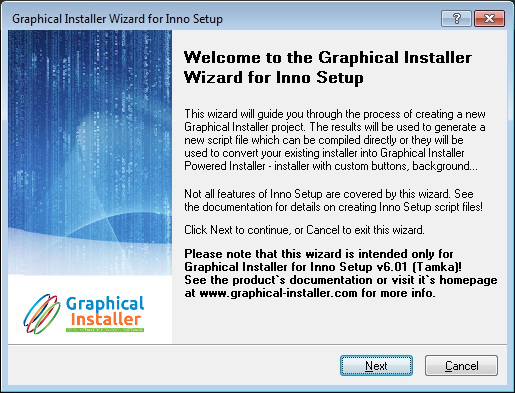 The Graphical Installer Wizard for Inno Setup window appears. Wizard is similar to classic wizard. This manual describes only differences between them.